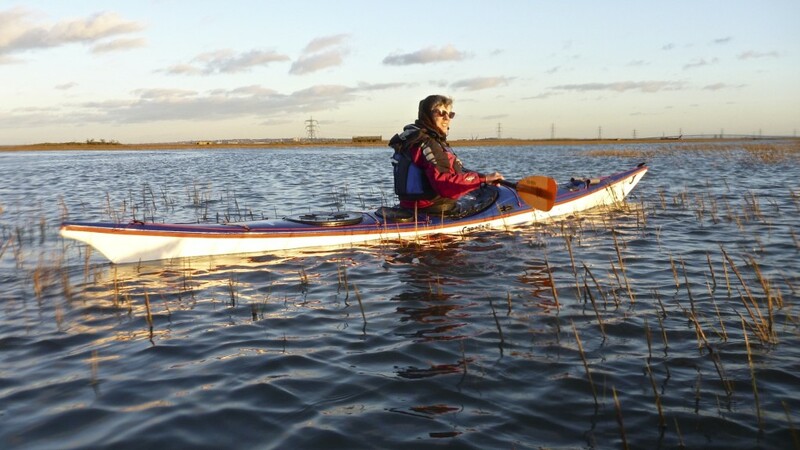 Having lived in the South East for a good few years I am no stranger to the Medway Estuary. Now that I have moved well away I find I always enjoy a return to this amazing area. At first sight it looks an industrial mess with everything covered in mud. Only when you get close up though that you, you suddenly find yourselves in a rather beautiful place.The large areas of mud and salt marsh provide a home to a great variety of birds. 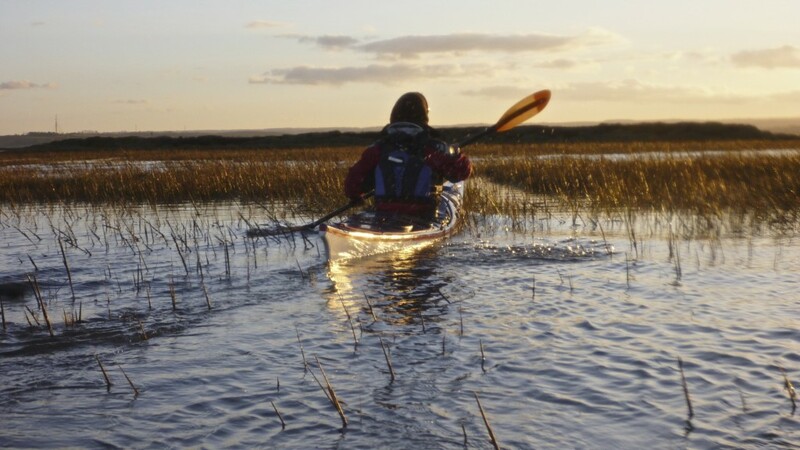 One of the major land masses here is Chetny Marsh which is now recognized a a major and important habitat for birds. 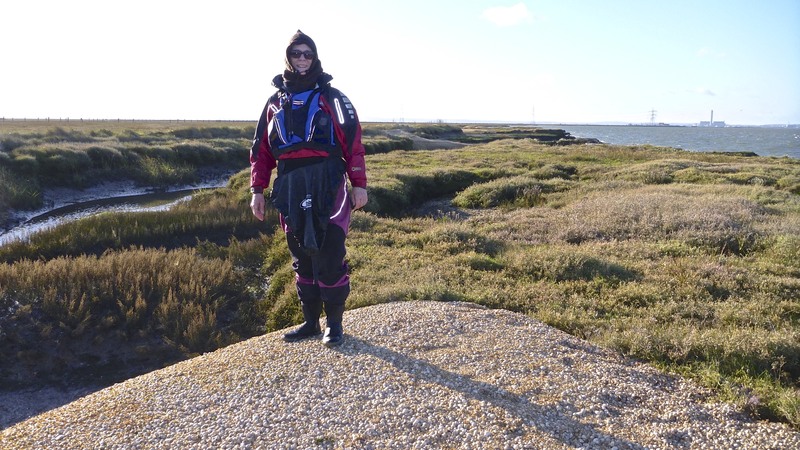 Launching from the public slipway at Queenborough, we paddled against the rising tide the short distance to Deadmans island which sits at the northern end of Chetny Marsh. 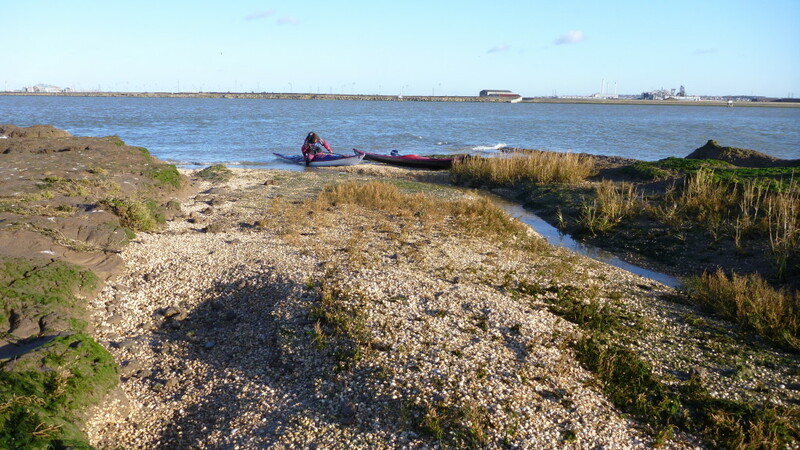 Recently it’s history has revealed itself with erosion exposing the coffins and skeletons of the Naval prisoners who died from disease whilst incarcerated in the old prison hulks moored in the Estuary.What appears to be shingle in the photo, is in fact tons of cockle shells that have been dumped here. It makes for an easy and clean landing. 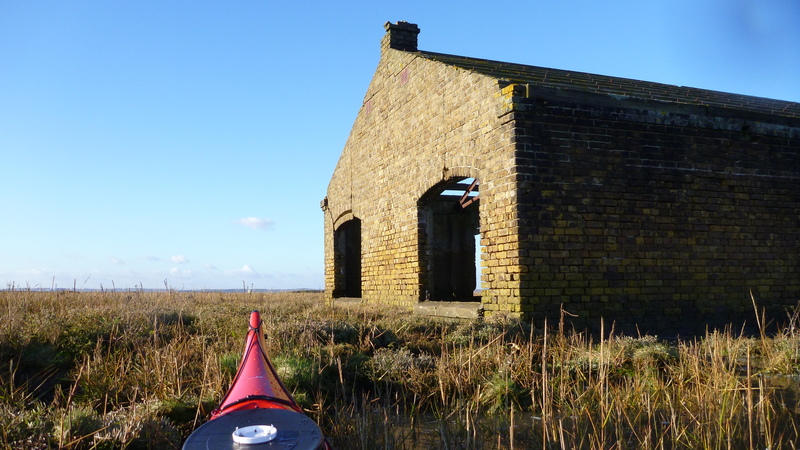 We continued our journey on to Burntwick Island, this was our destination where we would take a bit of lunch as the tide dropped before doing a little ‘treasure hunting’ The whole region has been used by the Military for many decades, now there are many buildings long abandoned by the army slowly sinking into the marshes. On spring tides it is possible to paddle in through the windows. 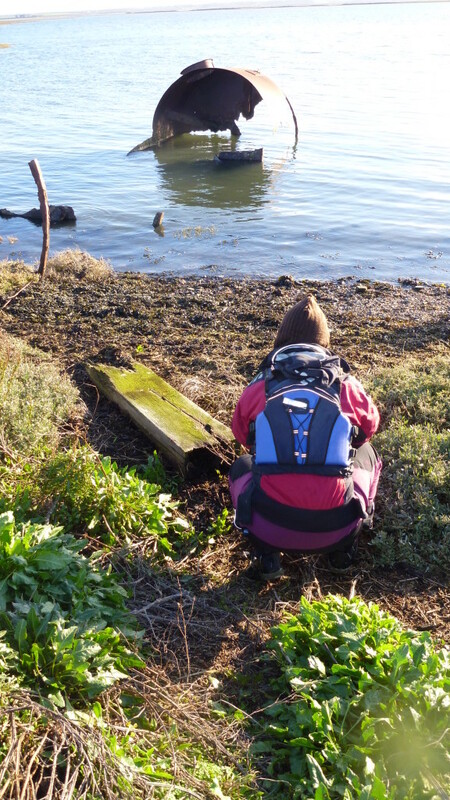 The ‘treasure’ that we came here to look for is all the old rubbish from the last century! 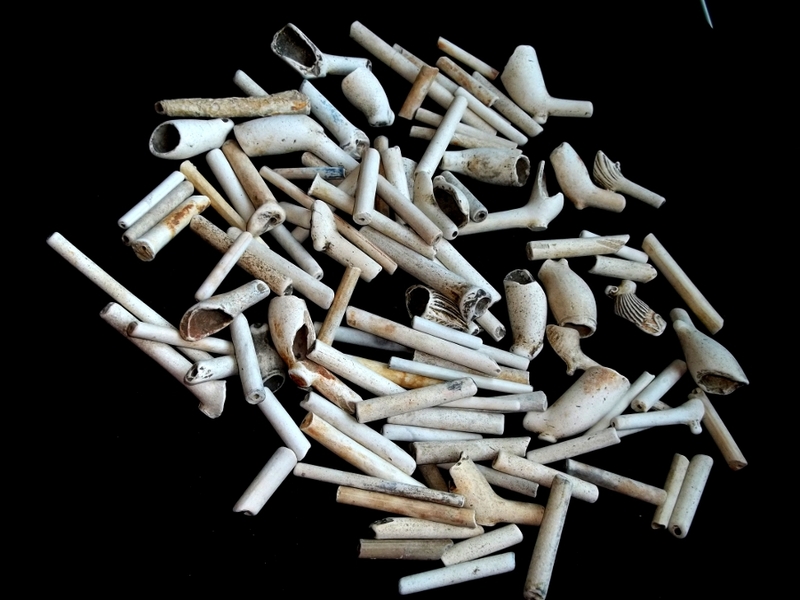 On a previous visit to the Thames, up by Tower bridge while have a food break we discovered many old Clay Pipes, apparantly these were purchased ready filled with tobacco “ready to smoke” and of course after smoking, they were later discarded into the river by the dock workers. It is unusual to find the pipes complete, but the beach is quite literally littered with broken pieces. 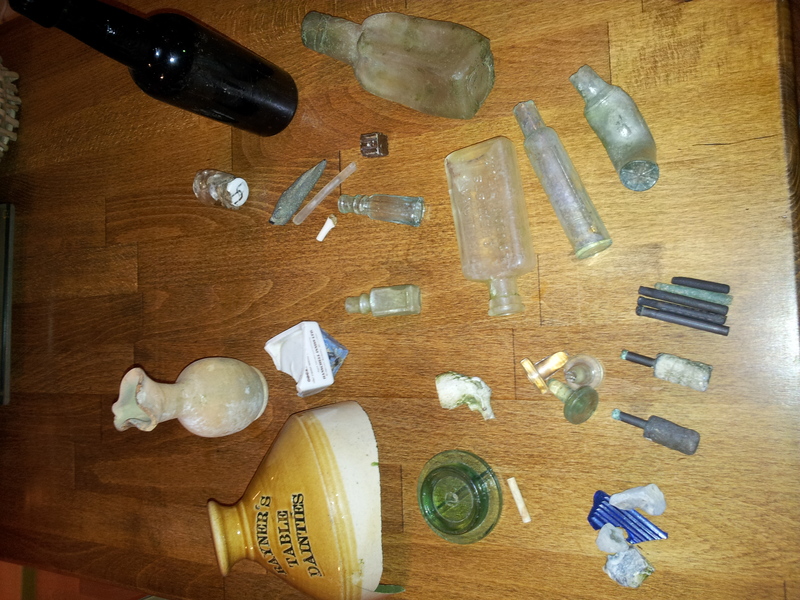 The haul include a few cast bottle stoppers alongside a clay pipe bowl as well as a couple of old bottles that had suffered melting in a fire at some time which had left them all twisted. 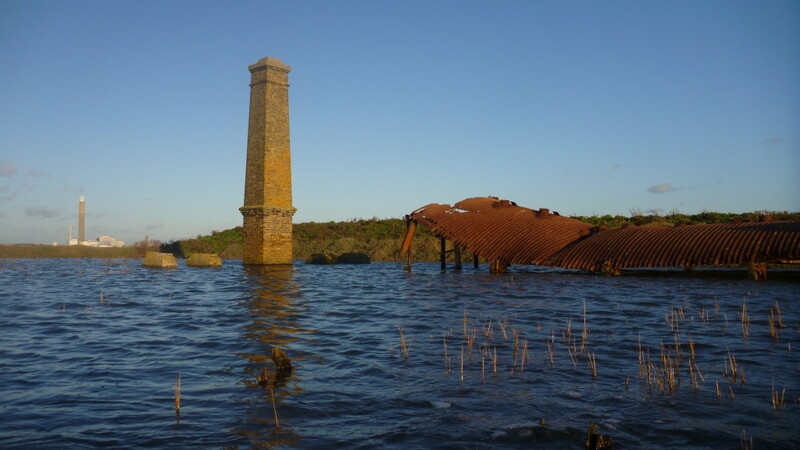 At the Northern end of Burntwick Island are the remains of some building complex, just a few foundation stumps and an old Chimney, rather than sunken it seems more likely that previous sea defenses have been breached alongside rising water levels. It was that ‘Golden hour’ once more and we were rewarded with some glorious last rays as the Sun set. 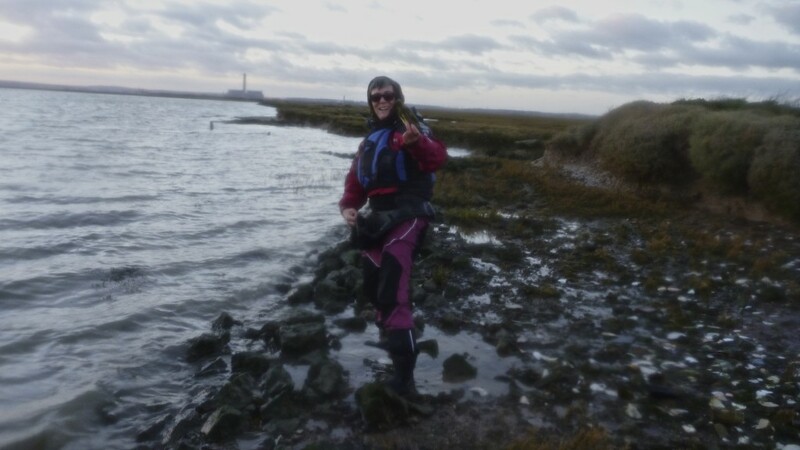 We reached Queenborough slip at dusk and enjoyed a good Pint in the “Old House At Home” Pub which we had to pass to get to the Van. 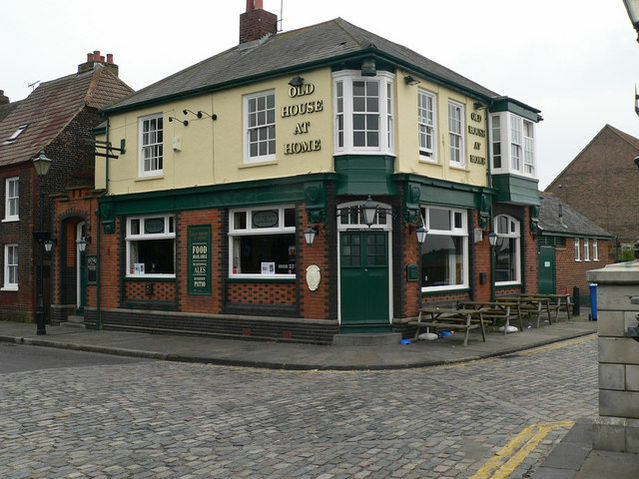 There are showers and toilets opposite the Pub who are keyholders. We mret a couple of characters in the Pub, and discovered just how small a world it is.